Before using the Gear Live for the first time, you should charge the battery. Use the charging dock provided with the Gear Live to charge the device’s battery. 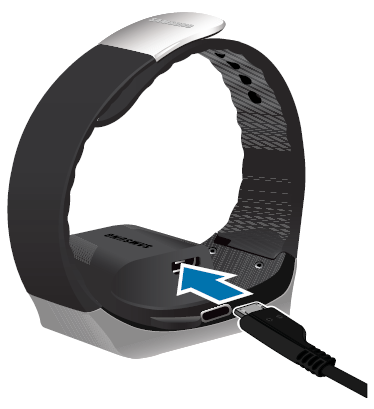 You can also use a computer to charge the device’s battery by connecting the computer to the charging dock using the USB cable provided with the Gear. 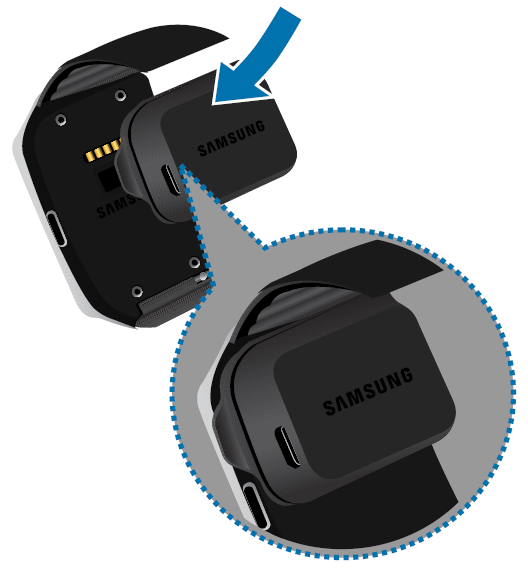 • Use only Samsung-approved chargers, batteries, and cables. • Unapproved chargers or cables can cause damage to the battery to the Gear Live. • When the battery power is low, the battery icon displays as empty. • If the battery is completely discharged, you cannot turn on the Gear Live as soon as the charger is connected. • Allow a depleted battery to charge for a few minutes before turning on the device. • While charging, some features are not available. 1. 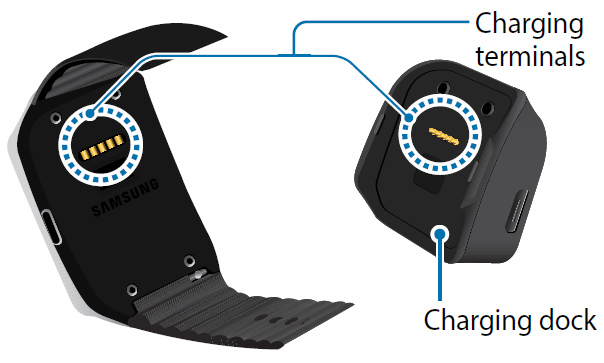 Locate the charging terminals on the Gear™ Live and on the charging dock. NOTE: The Charging dock is designed only for use with the Gear Live and may not be compatible with other devices. 2. Place the charging dock on the Gear Live with the charging terminals facing each other. 3. Plug the small end of the provided USB cable into the USB port on the charging dock, and then plug the large end of the cable into the Charger head. 4. Plug the Charger head into a wall outlet. • If power to the Gear Live is unstable while charging, the touch screen may not function. • While charging, the Gear Live may become warm. This is normal. If the battery gets hotter than usual, disconnect the charger. 5. 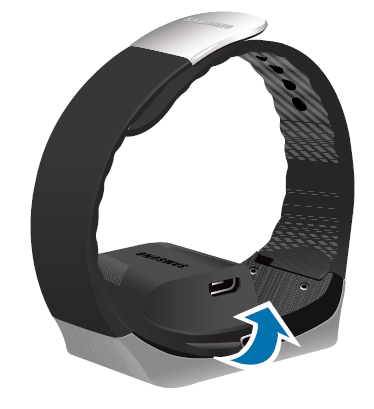 After fully charging the Gear Live battery, open the retainer, and then separate the device from the charging dock.